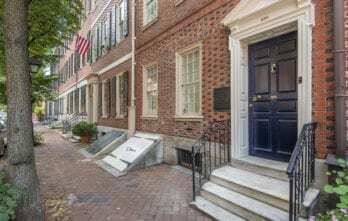 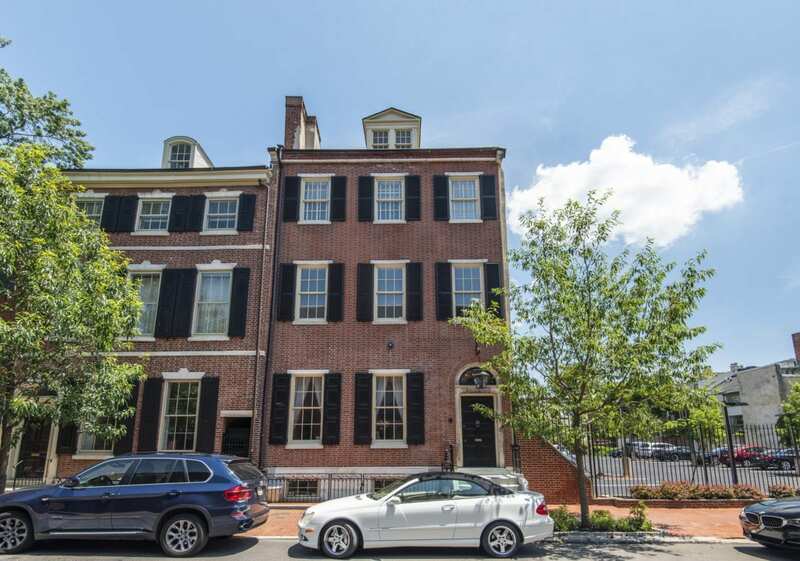 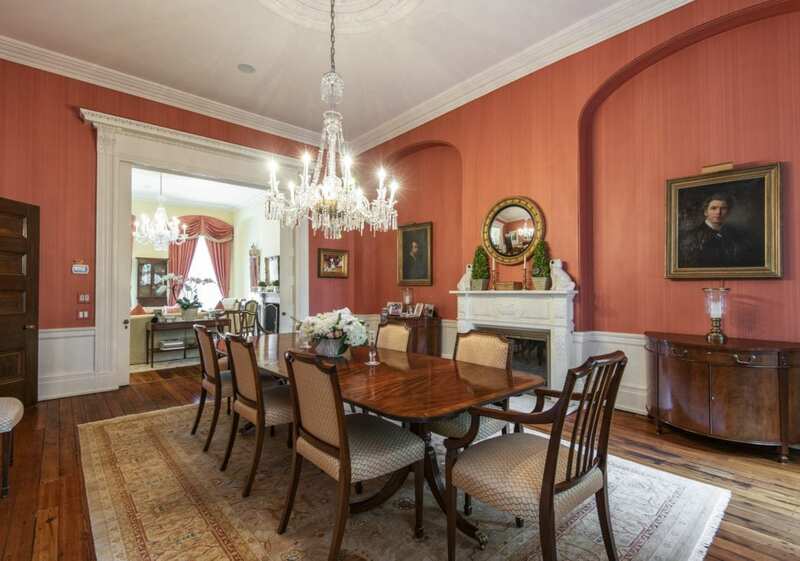 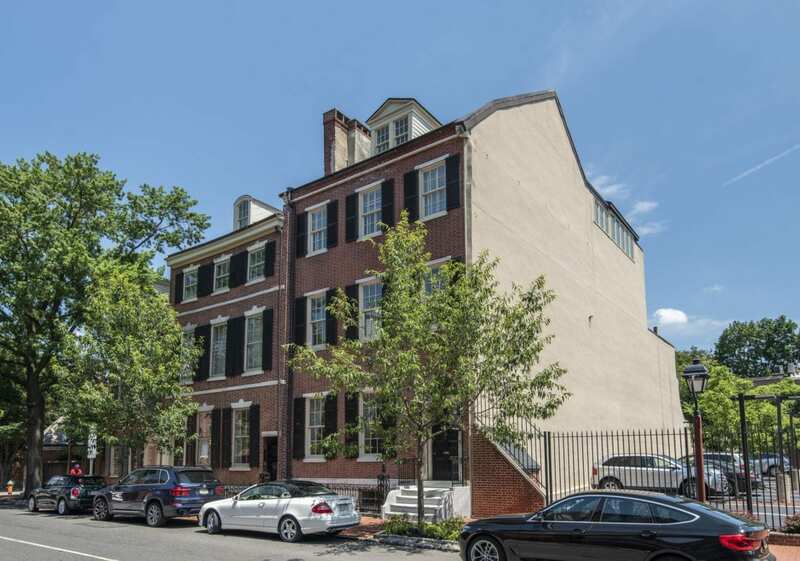 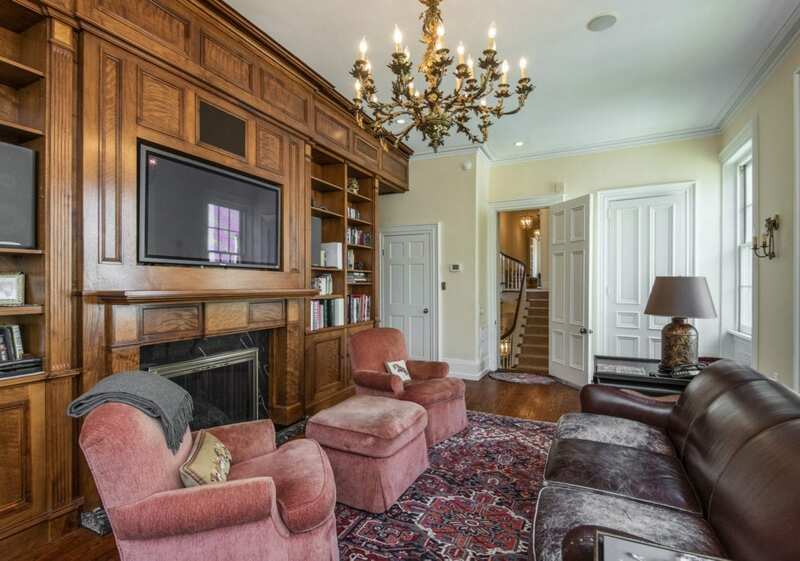 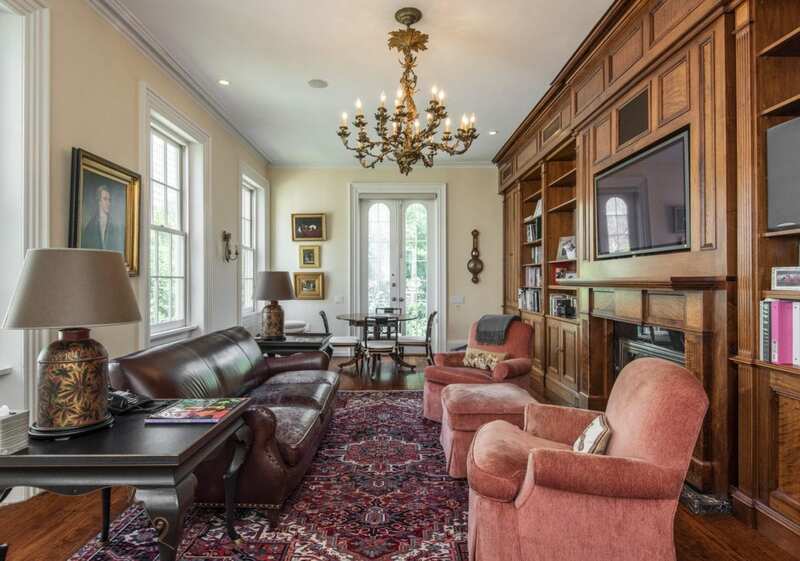 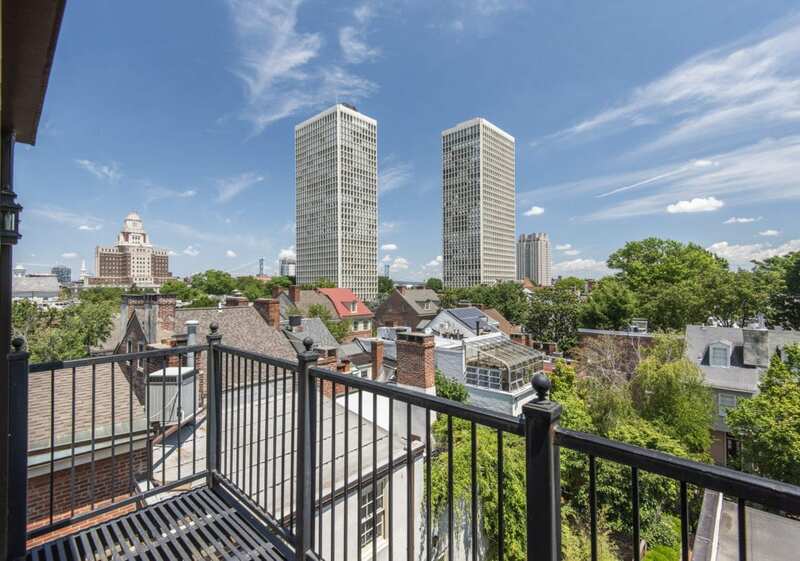 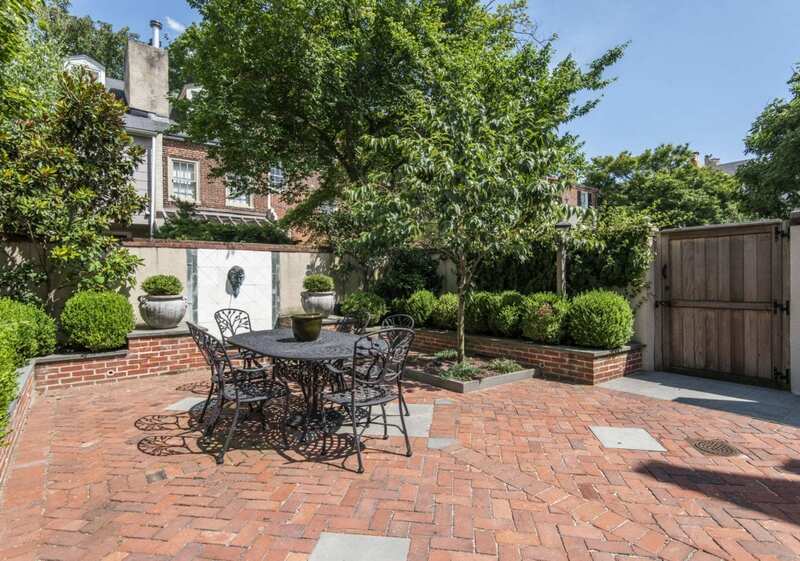 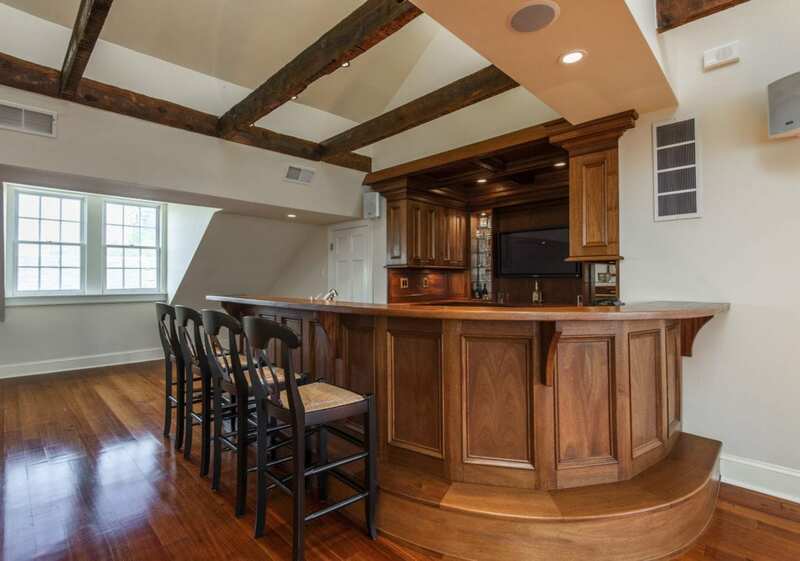 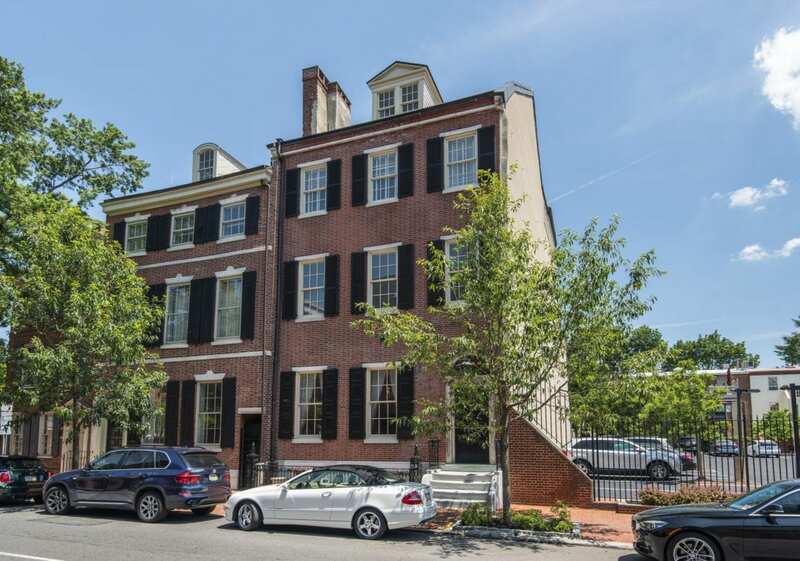 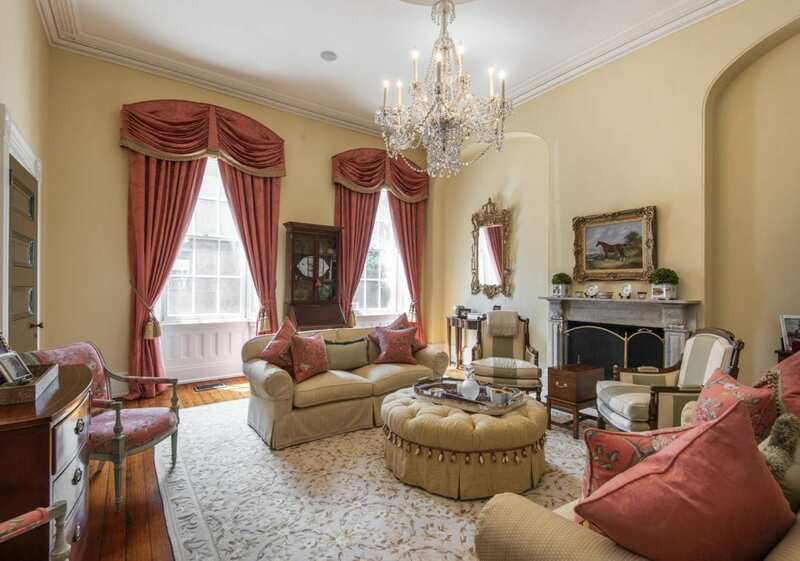 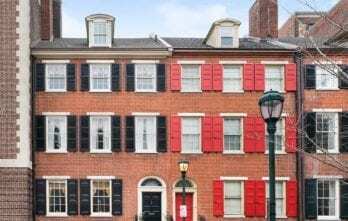 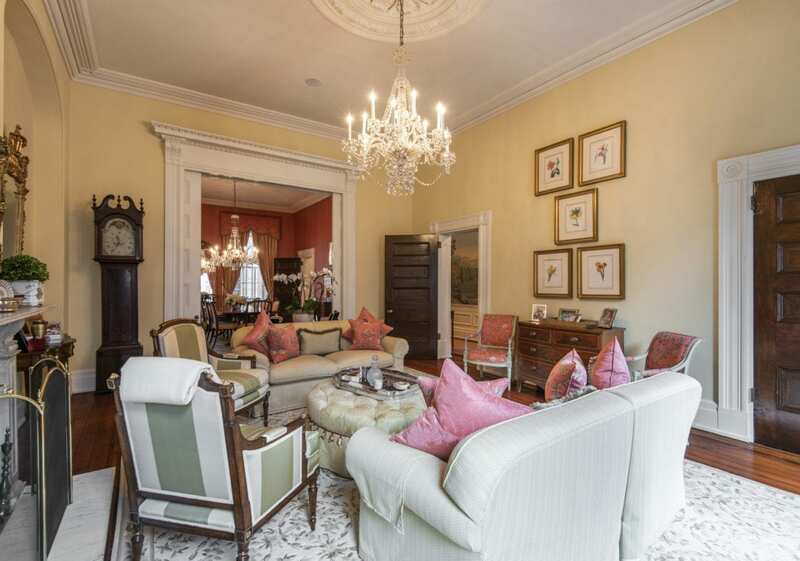 This classic 1814 Federal Style Society Hill mansion captures the soul of historic Philadelphia. 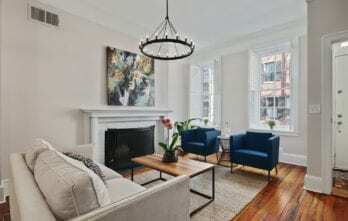 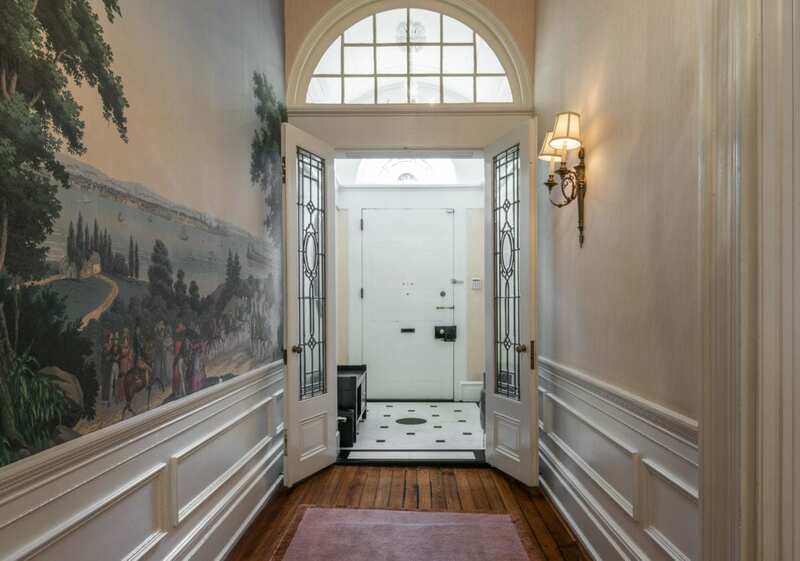 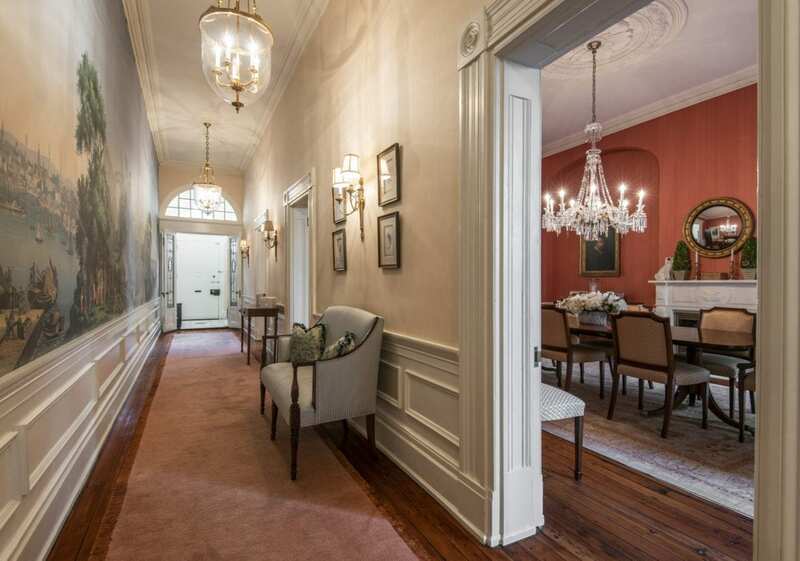 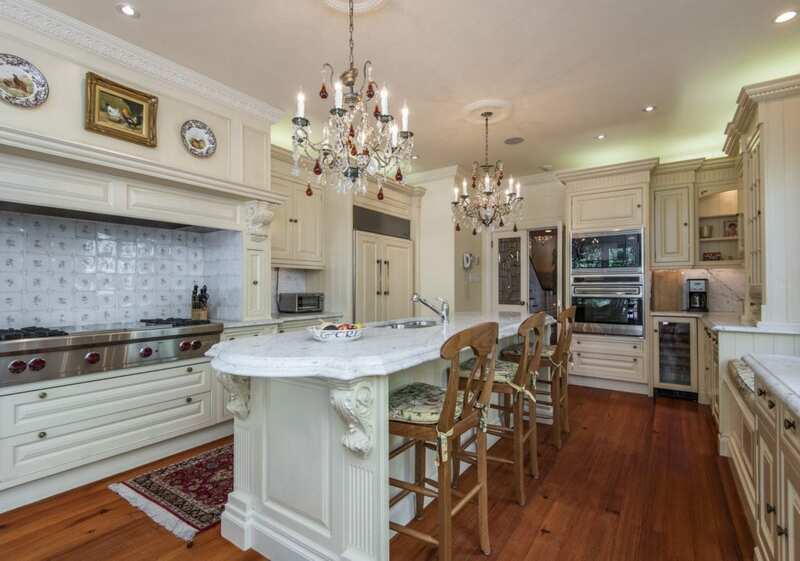 Value begins at its almost 26’ width, 14’ ceilings, original pine floors, restored plaster mouldings and sweeping staircase that rises softly from floor to floor. 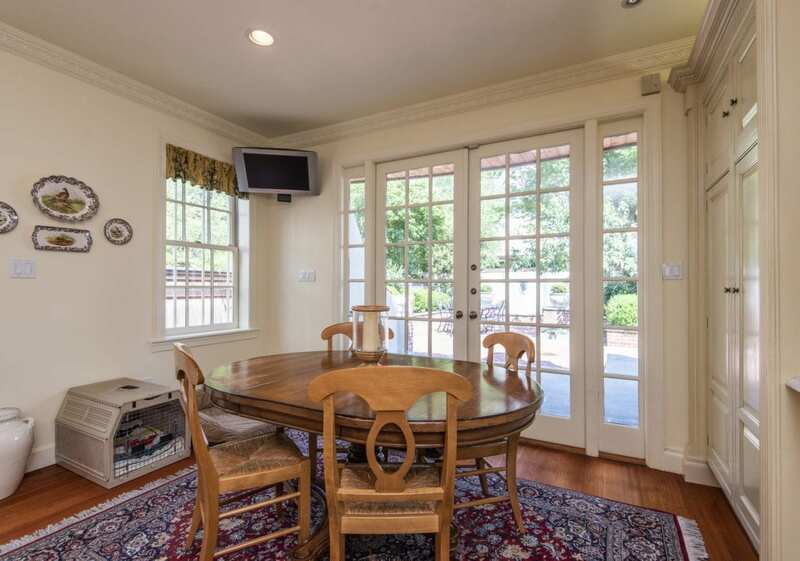 The home’s east/west exposures and large paned windows (3-across) insure bright natural light throughout the home. 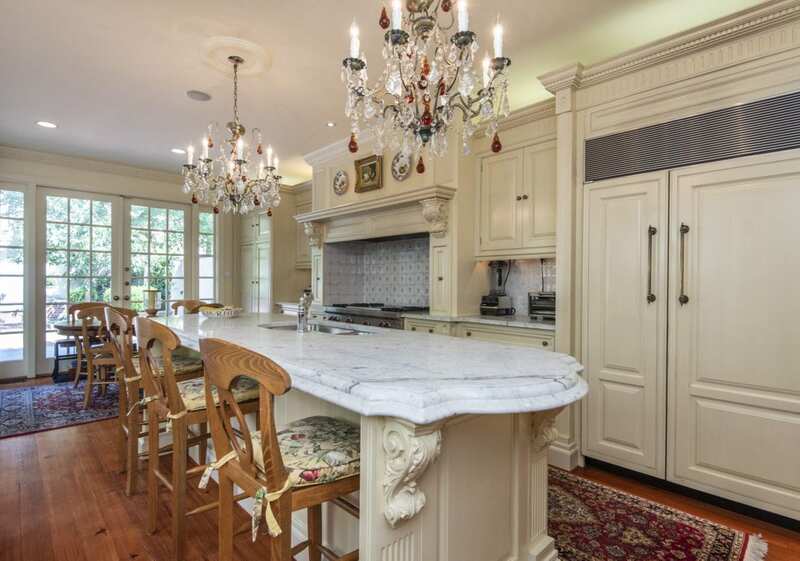 The grand Federal proportions offer elegance to any personal style of living or entertaining. 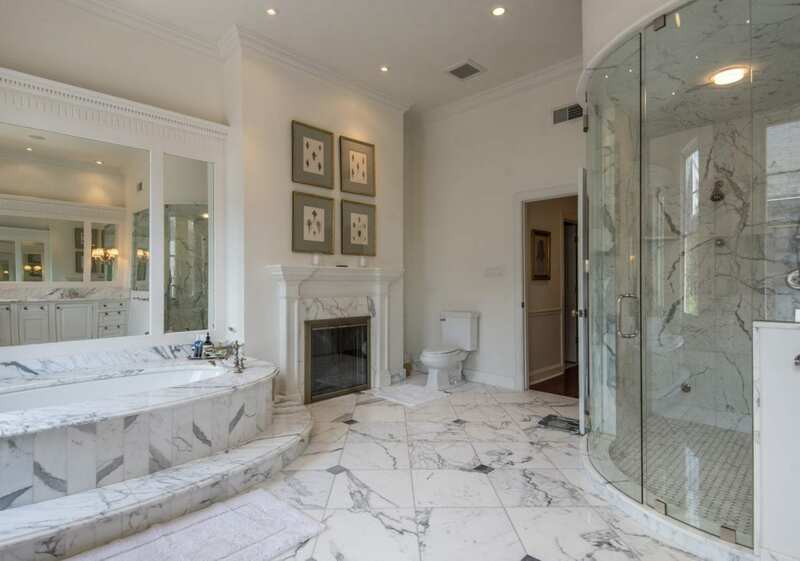 Of course, its marbled baths, elevator service to all five floors and Clive Christian kitchen seamlessly deliver the modern luxury you’d expect from this caliber of home. 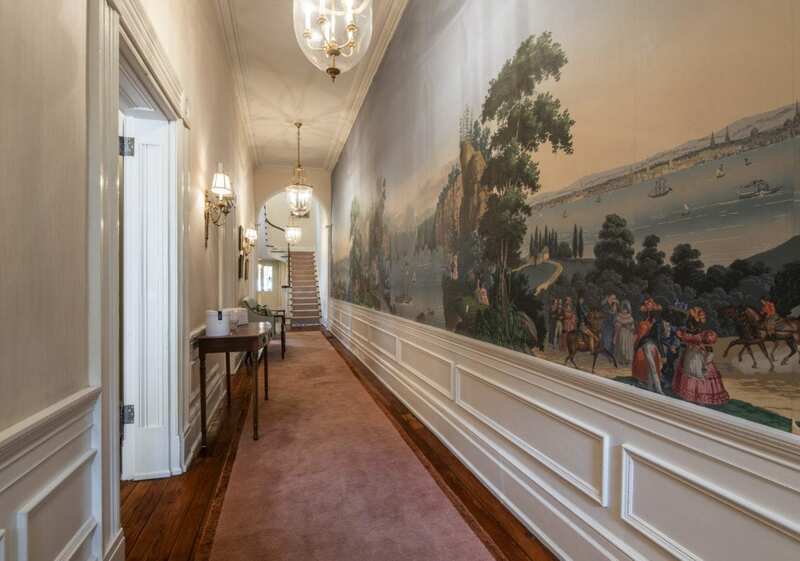 The chandeliered entry foyer gives way to the grand hallway which features an original work of art by White House muralist Zuber & Cie. 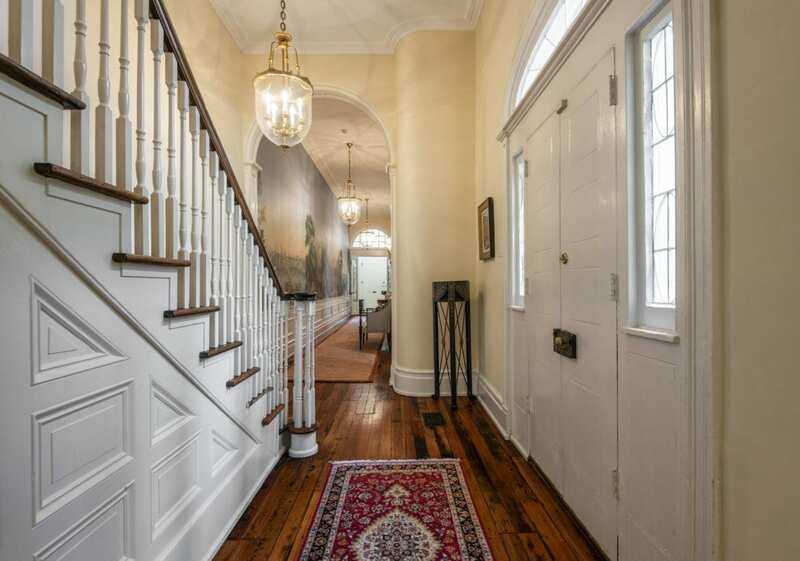 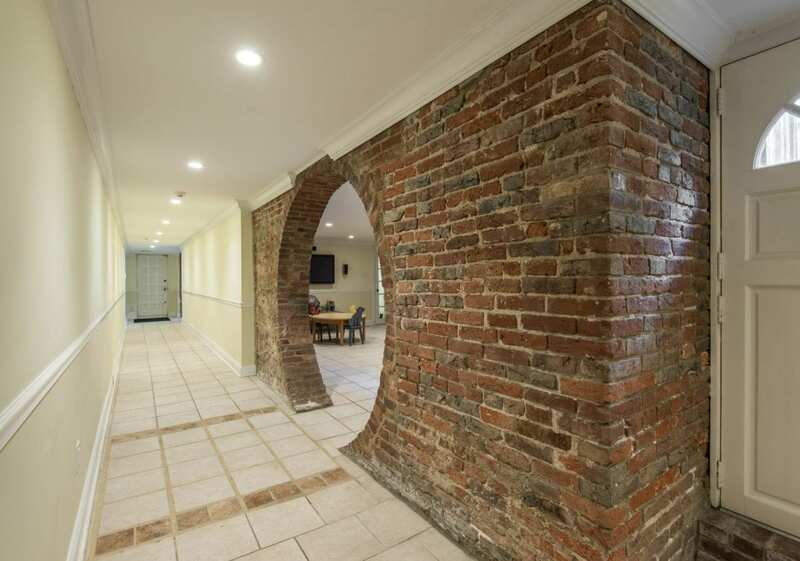 The hallway is the home’s gateway to both its public and private areas. 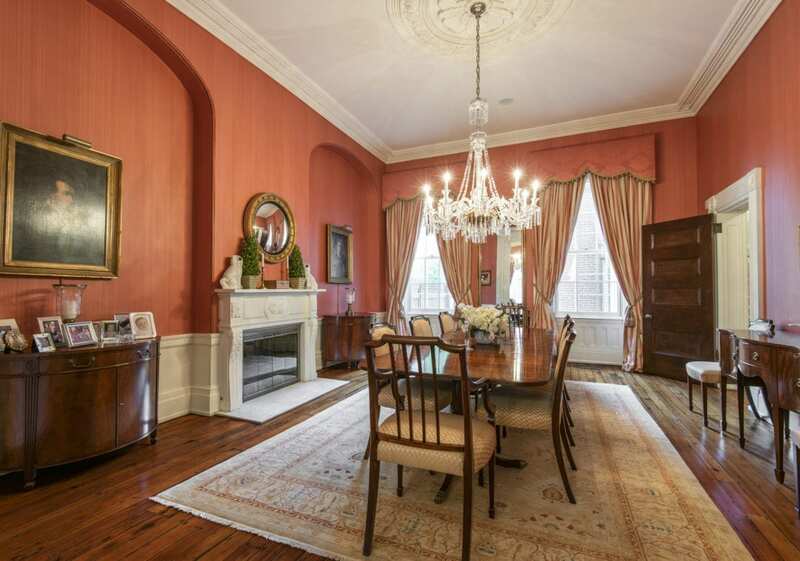 The first floor is home to both formal living and dining rooms; both complete with antique crystal chandeliers and gas burning fireplaces. 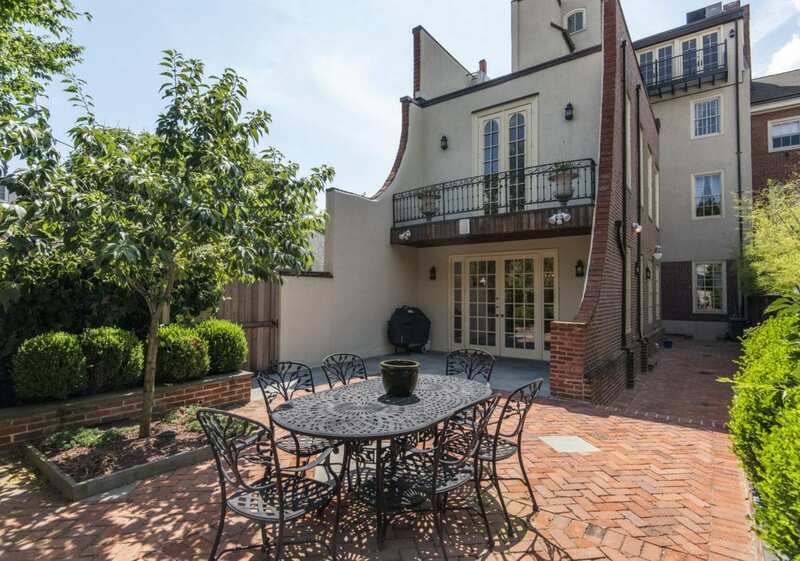 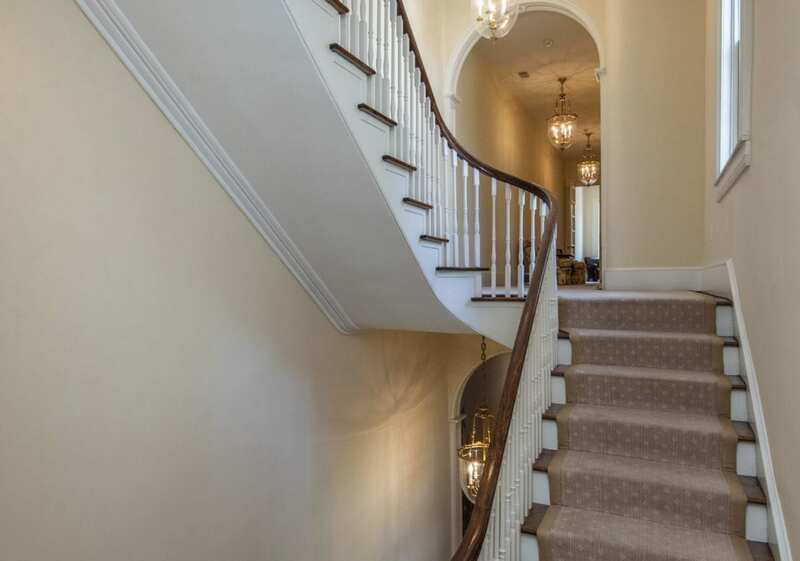 In addition, the hallway provides access to the grand stairs, elevator, powder room and fabulous eat-in chef’s kitchen which overlooks a formal garden with fountain and immediate access to your parking. 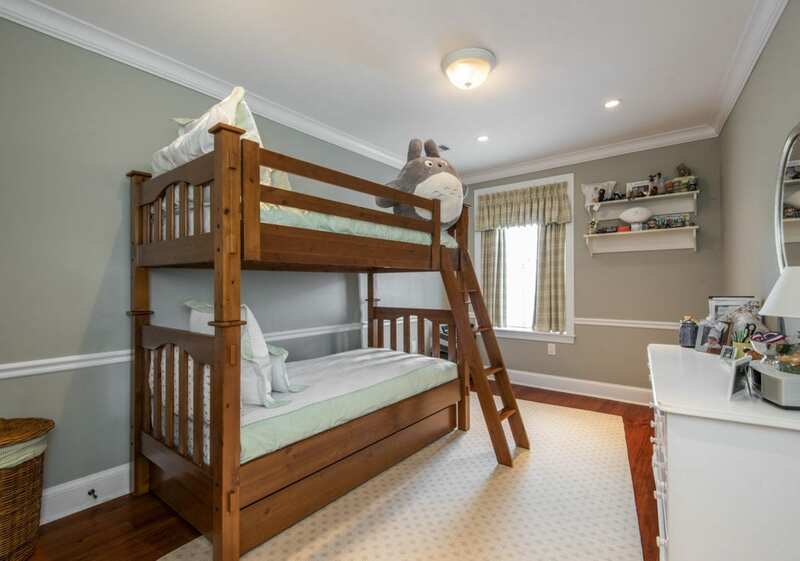 Halfway up the staircase you’ll find a family/den/library room for more casual living, complete with custom wood cabinetry and powder room. 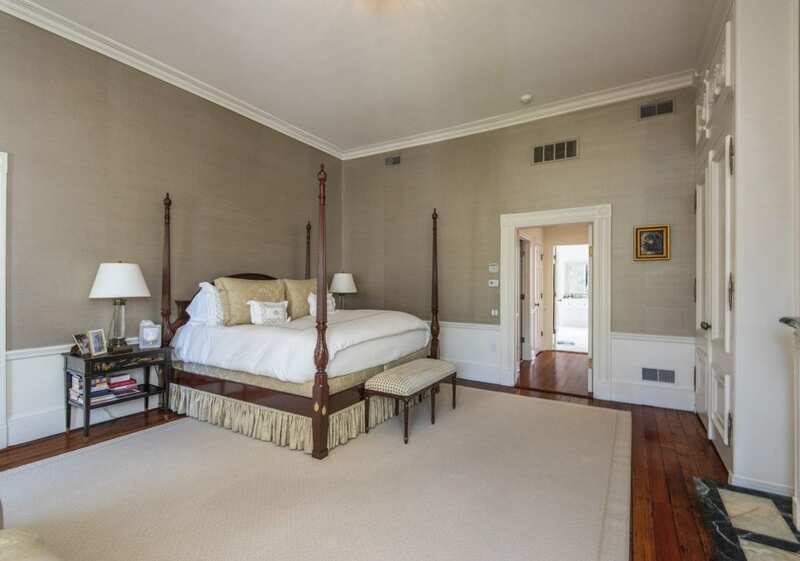 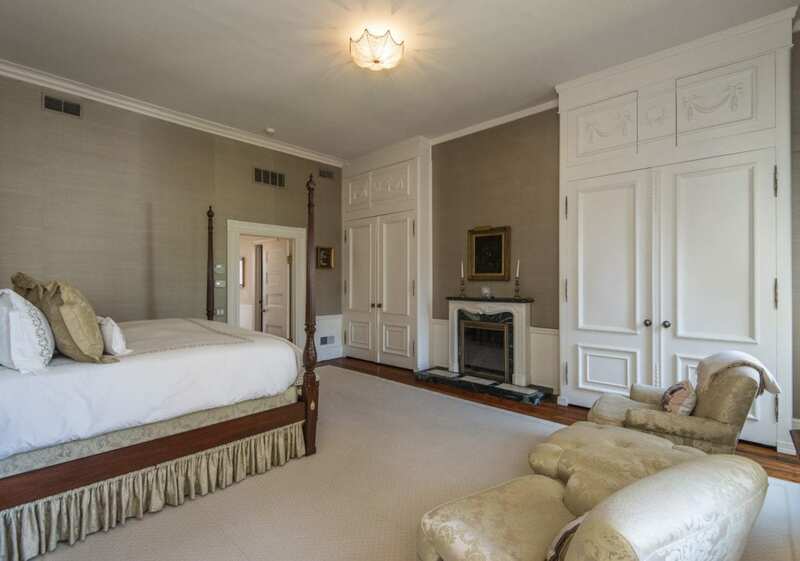 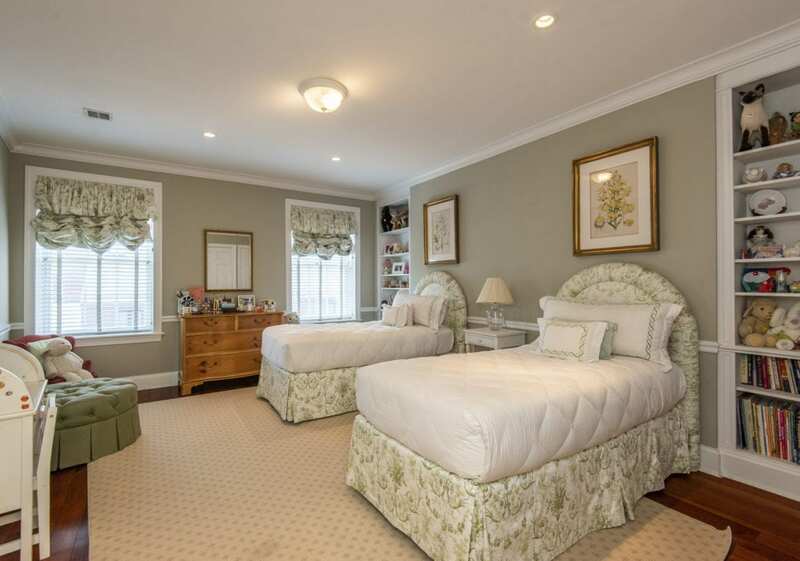 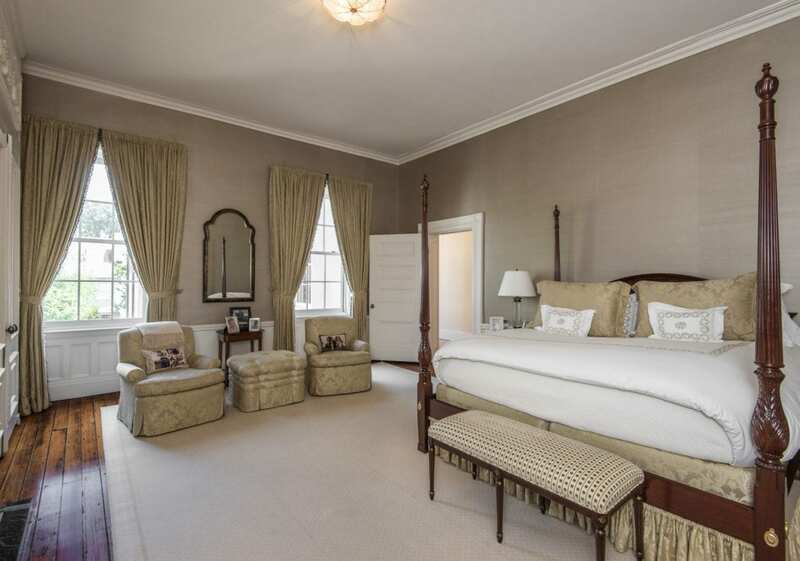 Up another ½ floor to the 2nd is master suite with fireplace, his & her walk-in closets and luxurious marble bathroom. 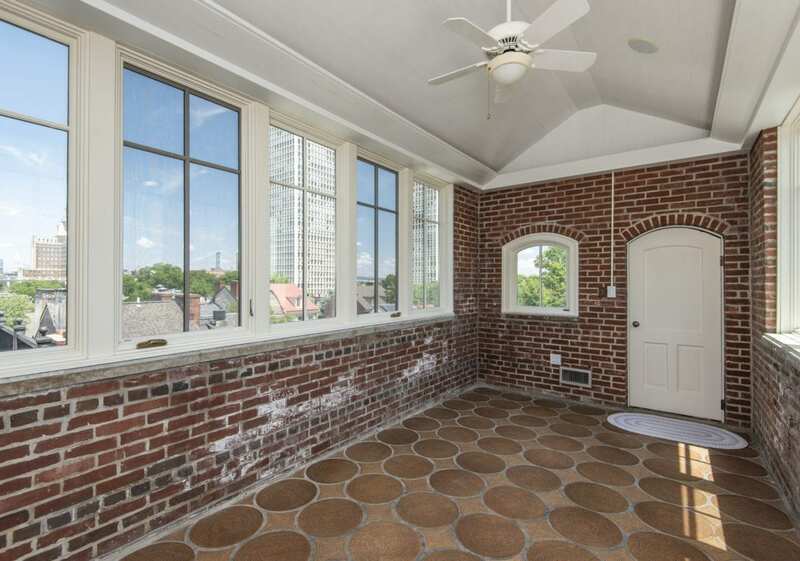 This floor is also home to a private office. 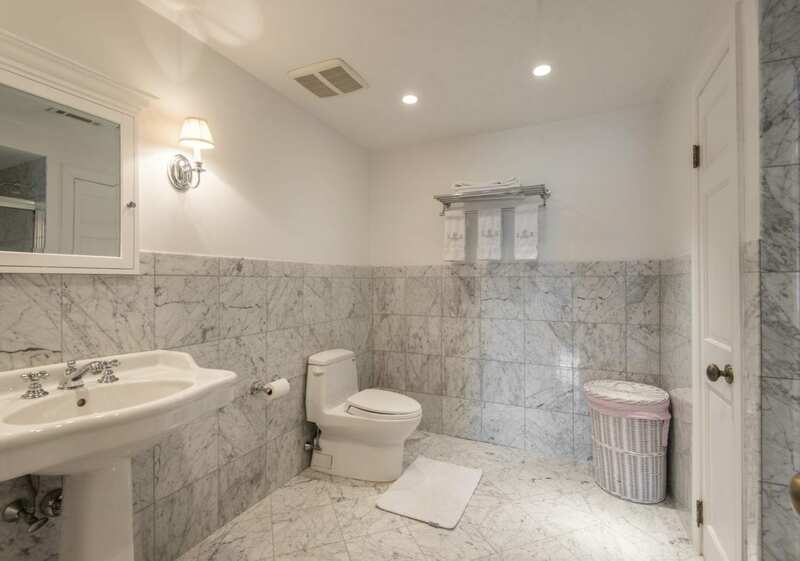 Up to the 3rd floor you’ll find a guest suite w/ marbled bath, two additional bedrooms and full bath along with storage upon storage. 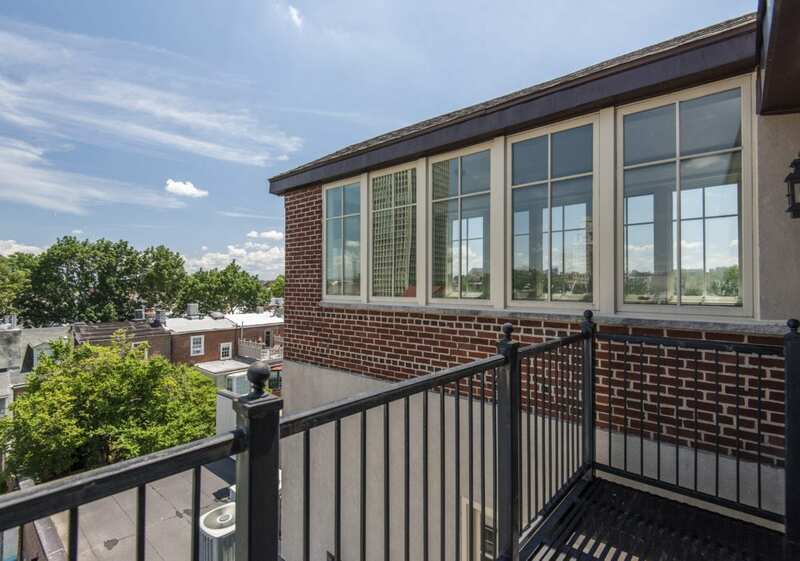 The 4th floor is set up with a custom wet bar, media room, half bath, greenhouse and spectacular views of the city and bridges. 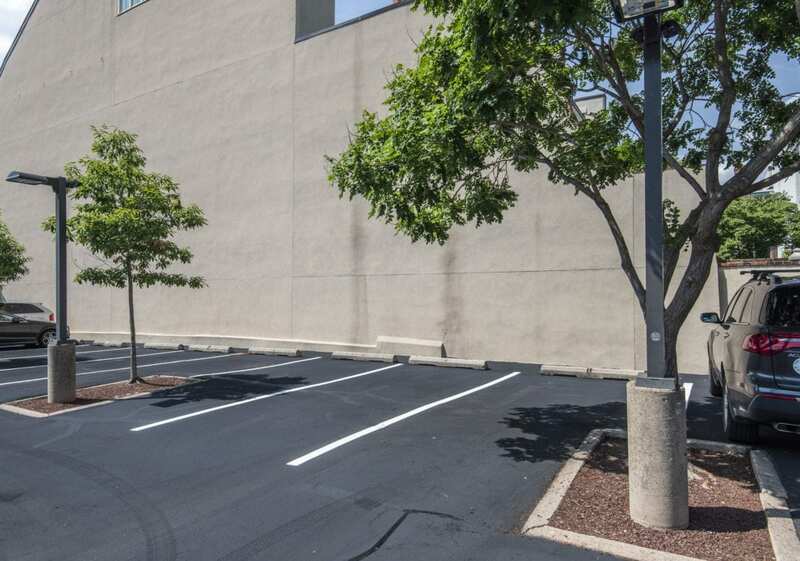 The 1,980 sq. 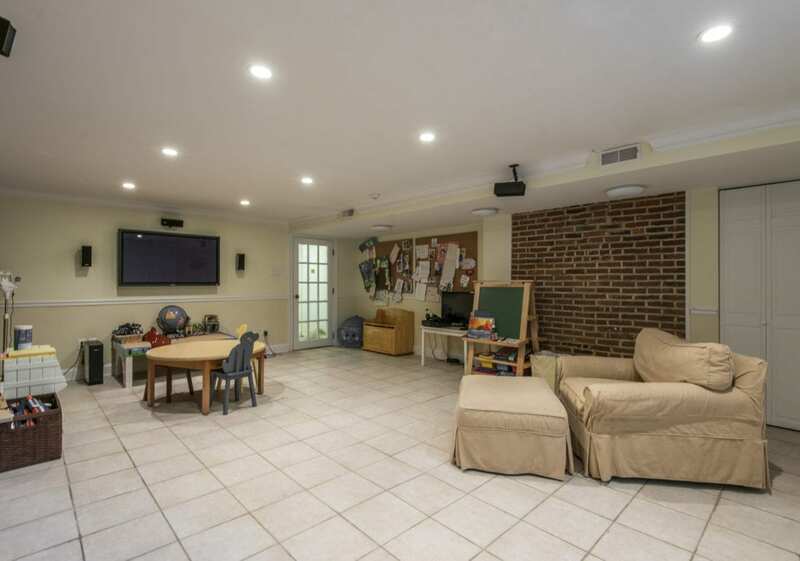 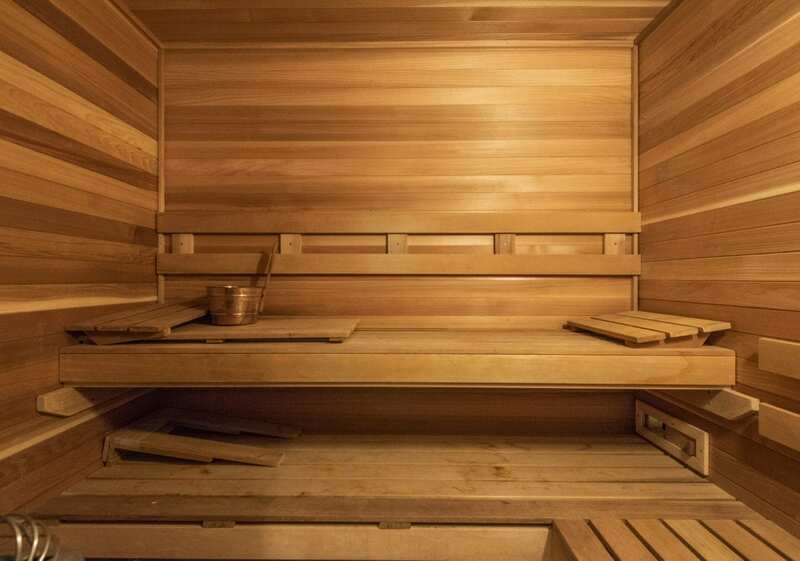 ft. lower level has been beautifully renovated and home to an au pair suite w/ full bath, large multipurpose room, sauna and gym. 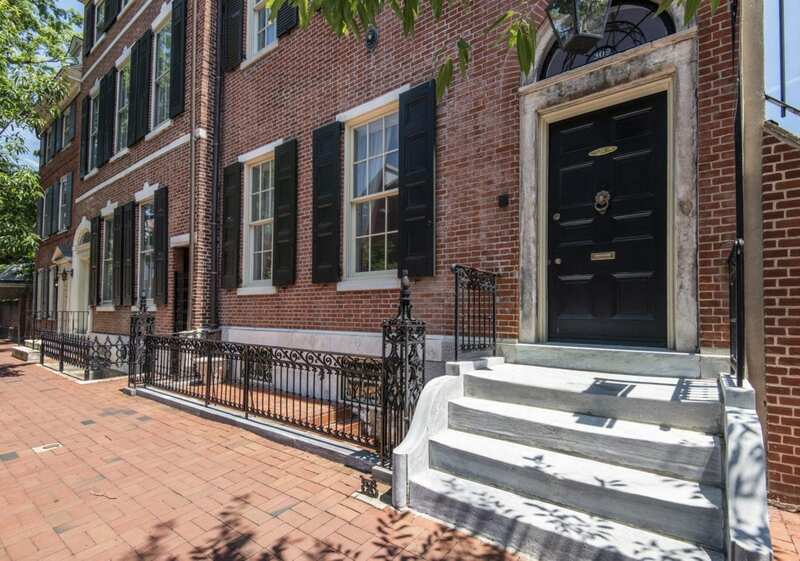 Click here for a Virtual Property tour.